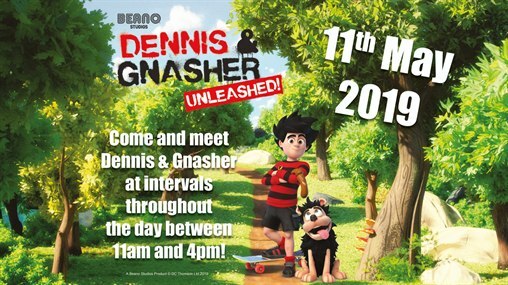 Dennis the Menace and Gnasher will be coming to Riverside Shopping Centre on Saturday 11th May. They will be appearing at intervals from 11am - 4pm. Free face painting will also be available. We hope to see you there!